The terms REALTOR® and real estate agent are not interchangeable titles. In fact, real estate agents or brokers can only use the title REALTOR® if they are members of the National Association of REALTORS® (NAR). Since the word REALTOR® is a registered trademark with the word itself being in all caps, only its membership can use the title and logo in their marketing and advertising collateral. With over one million members, the NAR is the largest American trade association and serves both residential and commercial real estate industries. Most licensed real estate professionals, such as agents, brokers, provisional brokers and appraisers qualify to be a member of NAR by first joining a local Board of REALTORS®. Annual membership fees to the NAR are $120. As a REALTOR®, the agent agrees to follow the NAR code of ethics in conducting business. The REALTOR® is responsible for protecting and promoting client's interests. They can represent buyers or sellers. They assist the home buyer in forming and writing the offer, and if the offer is accepted, they help with the final agreement to ensure it's legally binding and correct. The REALTOR® will need to stay on top of the entire process to make sure any issues that surface during the home inspection or other processes are quickly remedied. They may also need to renegotiate the contract. For example, any repairs that the house inspection determines are needed may be factored into a new contract or agreement. Part of the REALTOR®'s job is to come up with a sound marketing plan designed to address the needs and attract buyers. They assess the client's home and come up with a list of possible cosmetic work or curb appeal to enhance property appeal to potential buyers. Any issues repair issues must be determined by professionals such as electricians, plumbers, HVAC or carpenters. The seller may choose to postpone repairs prior to placing the house on the market. These issues may later become negotiation points with potential buyers. As part of the marketing plan, the REALTOR® will draw attention to the property through various advertising and marketing techniques aimed at the public. However, the most important marketing is focused on fellow real estate professionals. According to the NAR 50% of American property sales are the result of cooperation between REALTOR®s and agents. 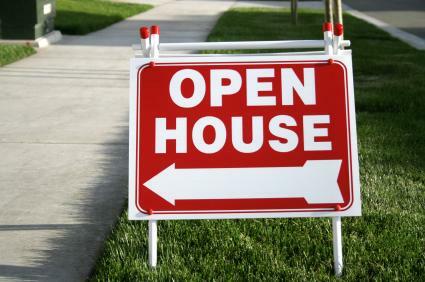 One of the most effective tools in selling a home is to hold an open house just for other real estate professionals so they can view the property. This gives the REALTOR® the opportunity to discuss the property in detail with those who may be showing the home. If the agent is knowledgeable about the property, they will do a better job in presenting it to a client. The REALTOR® pre-screens and qualifies all potential buyers before allowing them onto the client's property and also accompanies potential buyers. If working with another REALTOR® or agent, it is still the REALTOR®'s responsibility to make sure that they follow these same rules of conduct. A REALTOR® makes sure to know who is showing the listings and deals only with reputable agencies and brokers. For buyers, a REALTOR® assists in the home search and takes clients to see houses and other properties on the market. They also provide an evaluation of the property during due diligence, which includes the property title and any easements or limitations attached to the property. If a buyer isn't familiar with all of the financial options open to them, the REALTOR® can steer the clients toward financing options and qualified lenders. The REALTOR® is required by law to present all offers to the clients and helps to assess each offering. They may also need to help clients with a counter offer by suggesting the amount and terms. Depending on the marketplace and the clients' needs, this process can go very easily or it can become complex. According to the Bureau of Labor Statistics (BLS) the average annual income for a real estate broker or sales agent is $42,680. This can fluctuate depending on market and type of real estate industry. Some REALTOR®s work for a salary plus commission, while others are strictly commission based. According to the Economist Outlook, "...the NAR membership survey, the median income in 2011 was $34,900. Even during this tough environment, 17 percent of members grossed a six figure income." Real estate is a highly competitive industry and the REALTOR® must develop and establish a good rapport and relationship with each client. Communication skills are a must as well as is the ability to be comfortable in social settings. The REALTOR® needs clients to be happy so they will refer family, friends and business associates. Past clients often sell their homes or buy other property and make excellent repeat customers. One of the best ways to ensure success is to keep the client's interests a top priority.